Bridgestone’s Supercat tyres can now go anywhere. Yep, there’s even more Super to our beloved ‘Cats’. An All Terrain (A/T) option is now available in the Supercat tyre range, complementing the popular car and van tyres, as well as the highway terrain pattern already available. Supercat All Terrain was developed specifically for the Australian market by Bridgestone, with extensive input by local technical field specialists and engineers. 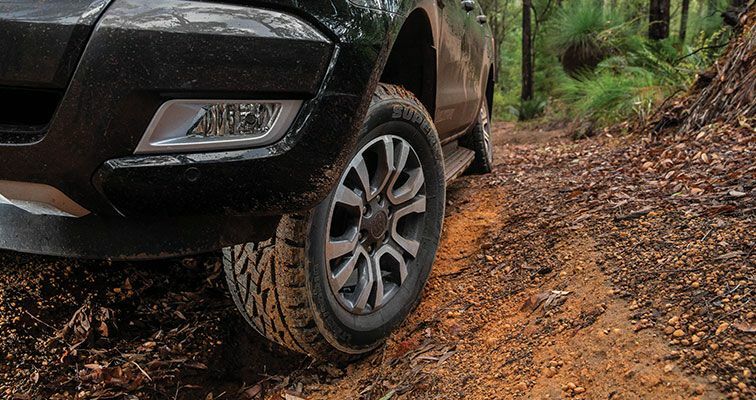 It adds another option to Bridgestone’s extensive 4x4 range, ensuring there is an ideal tyre for all 4x4 and SUV owners: Bridgestone Duelers for the enthusiasts and newer vehicles, Firestone Destination for an always dependable tyre and Supercats for a value-for-money but capable option. Supercat A/T is available in 13 sizes ranging from 16 to 18 inches, suitable to fit a range of different makes and models including Nissan Patrol and Navara, Toyota Hilux, Prado and Landcruiser, Holden Rodeo and Colorado, and Mitsubishi Pajero. Available exclusively at Bridgestone Select and Bridgestone Service Centre locations, Supercat All Terrain is ideal for those after a highly affordable but versatile tyre for 4x4s and suitable for towing, fully laden utes, off-road workhorses and camper trailers. They only list 8 sizes on the link they provided ranging from 15" to 17", and the size you are after isn't there. It might be one of the five sizes they don't show I guess, assuming anything of the post is actually correct. It's a bit strange they would advertise on a Subaru site when they don't cater for us. I wish they could go into more detail the differences between the Supercat, dueler and the Firestone. From the vague description all I can gather is that the Firestone is the entry level tyre. At a guess, the dueler is the premium tyre and the Supercat in the middle. If so, what does the Supercat miss out on? Think I will stick to their Potenza though. Think I will stick to their Potenza though. I'm soooo looking forward to putting another pair of Potenzas on the SVX. There are STI 6 speeds, and there are STI 6 speeds. Best thing I ever did to my wrx was to put a brand new one in, along with a brand new rear R180.